Topic: RCI 2950DX e chip problem! Re: RCI 2950DX e chip problem! As an update however, i seem to have cured it by squeezing the thing as hard as i could between thumb and forefinger. pretty sure its a dry joint now. where are the e chips available from and how much do they cost roughly? RCI 2950DX e chip problem! hey, thanks for the links guys. Topic: can anyone help with identification of antenna? by the way, forgot to mention the radio looks identical to the Albrecht AE485 and other similar looking rigs. Topic: cobra 200gtl dx frequency expansion - not the normal one!!! cobra 200gtl dx frequency expansion - not the normal one!!! anyone know a way of broadbanding these to work on 49Mhz? 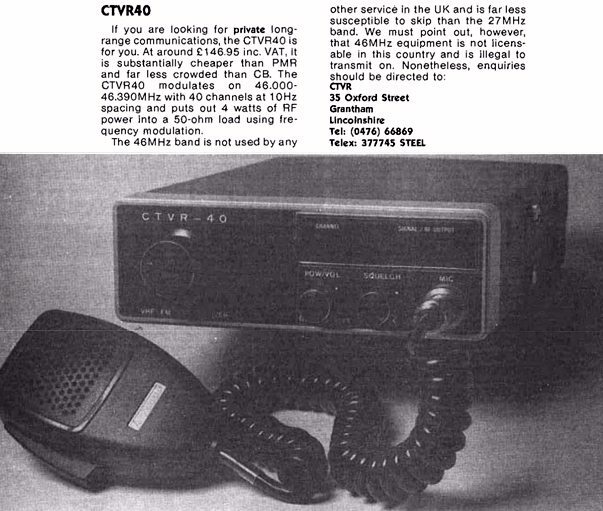 also any other 6 meter ham radios that could convert? thanks rick. i have some test gear here; sig gen, dev meter, am mod, distortion analyser, scope, a few other bits; i used to work for the bbc doing their outside broadcast transmitters; but it's been a while since i poked a trimmer into a coil in anger!!! latest. note to self - check antenna is connected. radio now seems to be in order!! still desperate for some alignment tips if anyone knows which ones to peak for rx!!! anyone got any ideas about rx peaking on these rigs? cant find a manual or schematic for love nor money!!! latest. could be a dodgy 1khz/100khz step switch!! having a look now; it seems intermittent 9sometimes it actually does tune down, then about 2 seconds later its only tuning up. im going for a dry joint here. I'll redo the joints and see what occurs. also now noticed there is a dead carrier on usb. Feedback probably! what, complete front panel replacement in aluminium or stick-on laser-cut? Topic: galaxy pluto frequency expansion? no worries, i found out. its EXACTLY the same as a sommerkamp ts790dx believe it or not!! !